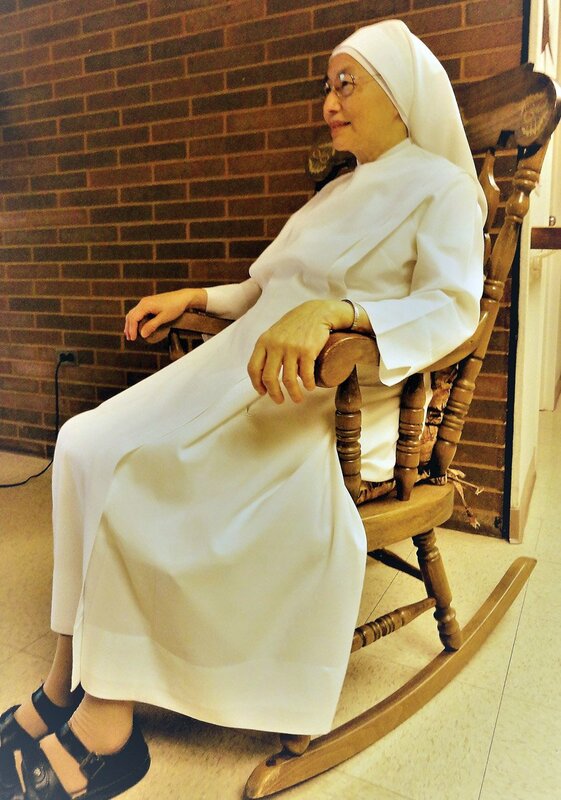 Sister Dora practices for the Rock-A-Thon. The Little Sisters of the Poor will hold the inaugural Rock-a-Thon to benefit the residents of St. Paul’s Home. Participants will raise funds by gaining pledges from family and friends to rock in a chair for three hours. Rockers also can participate in teams of two or three. Chairs can be decorated in a theme and distinctive decor. Entertainment for the Rock-a-Thon includes music with DJ Brian “The Flying Man” Hellman. Mystery Balloons will be available for a donation of $5. Pick a balloon and take a chance on winning a gift card. Light snacks and drinks will be available to purchase.